This hearty wrap is a meat (and cheese) lover's dream—with smoked ham, roasted turkey and shredded Cheddar rolled in a tender flour tortilla. Spread tortilla with dressing; sprinkle with cheese. Top with meat; roll up tightly. Cut in half. Top tortilla with shredded lettuce before rolling up. 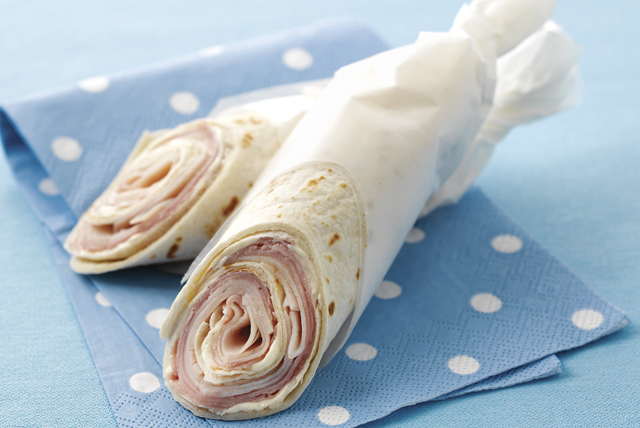 Roll-up can be made ahead of time. Wrap tightly in plastic wrap; refrigerate up to 24 hours before serving.